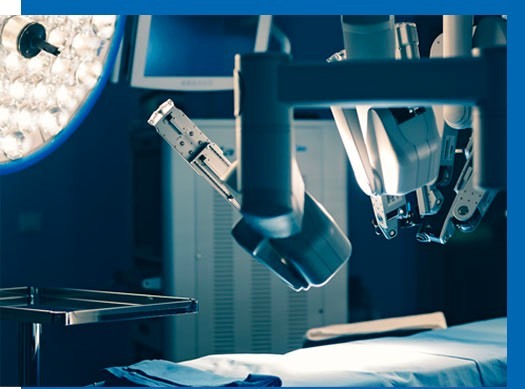 The da Vinci Robotic Surgical system is a revolutionary surgical system that allows us to perform a wide range of procedures without being too invasive. Approved by the Food and Drug Administration (FDA) in 2000, the da Vinci system enables skilled surgeons to undertake complex and delicate surgeries with great accuracy and precision, thanks to the tiny instruments that make small incisions. There are numerous benefits to using this system, namely that it is minimally-invasive for the patient and allows the surgeon to perform each and every surgery with confidence and accuracy. Furthermore, recovery times are much shorter when the da Vinci system is used. Here at Surgical Associates of Mansfield, we believe in providing our patients with the highest-quality of care available. Not only do we house some of the most well-reputed surgeons in the Arlington area, but we believe in only using state-of-the-art technology for each and every procedure. We have expertise and fellowship training in both the da Vinci Si Robotic platform and the latest da Vinci Xi Robotic platform. The da Vinci system has allowed us to perform thousands of complicated surgeries without the same risks they would otherwise carry. We are also able to perform single incision robotic surgery, a cutting-edge procedure that our surgeons have mastered. In addition to performing these surgeries in house, we collaborate with other robotically-trained specialists - such as urologists and gynecologists - when a robotic procedure is necessary. 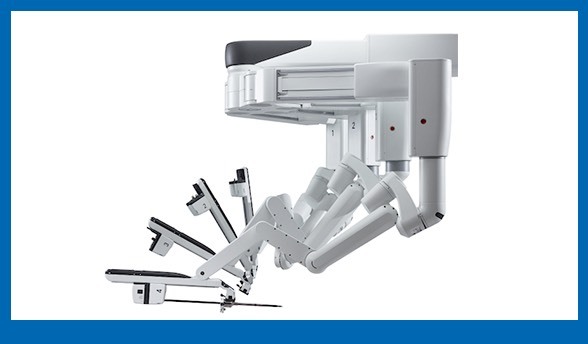 In a nutshell, the da Vinci Robotic Surgical system works as an extension of the surgeon’s eyes, hands, and limbs. The surgeon is provided with 3D magnified vision and inc redible mobility of the robotic system’s four arms. This allows for a far more effective, precise surgical experience. Surgical Associates of Mansfield is committed to offering our patients the best care possible, which is something we achieve by reducing risk, pain, and recovery time thanks to the da Vinci system. There are numerous different procedures performed here at Surgical Associates of Mansfield that have been enhanced thanks to the implementation of the da Vinci system. Our surgeons are now able to operate with enhanced vision, precision, and an incomparable control. We care deeply for our patients and want to ensure they walk out of our the hospital or surgery center, prepared for everything life has in store. We understand how difficult a long recovery period can be, especially if it is keeping you out of work and from enjoying life. With the da Vinci system, you will be back to your normal day-to-day activities far quicker than surgical patients who did not have the da Vinci system. Yet another advantage of this innovative robotic system is that surgery patients lose far less blood, and spend less time in the hospital. We are proud to use this system and are happy to answer any questions you may have before surgery. The majority of the surgeries performed here at Surgical Associates of Mansfield use da Vinci, including gallbladder surgery, certain types of gastrointestinal surgeries, and hernia surgeries. Surgical Associates of Mansfield has the largest robotic surgery volume in all of Tarrant County, making us the “go-to” center for a wide range of surgeries. To learn more about what you can expect when undergoing a surgery using the da Vinci system, please do not hesitate to contact one of our staff members.